The MK2 Jaguar a truly iconic Classic Car which has been immortalised in the TV series Inspector Morse & is often referred to as a Morse Jaguar. Our MK2 Jaguar was on the road in June 1961 resplendent in her Old English White Coachwork. Her cabin is extremely comfortable, light & spacious offering generous leg room. There is luxurious full Tan leather seating, wood dash & door cappings capturing the ambiance of an age gone by. She is in immaculate First Class Condition, impeccably maintained & is equipped with a very good Heater for Cooler Wedding Days. Chauffeured exclusively by Ourselves Her last 2 decades have been serving as a Different, Distinctive & Unique Classic Wedding Car. 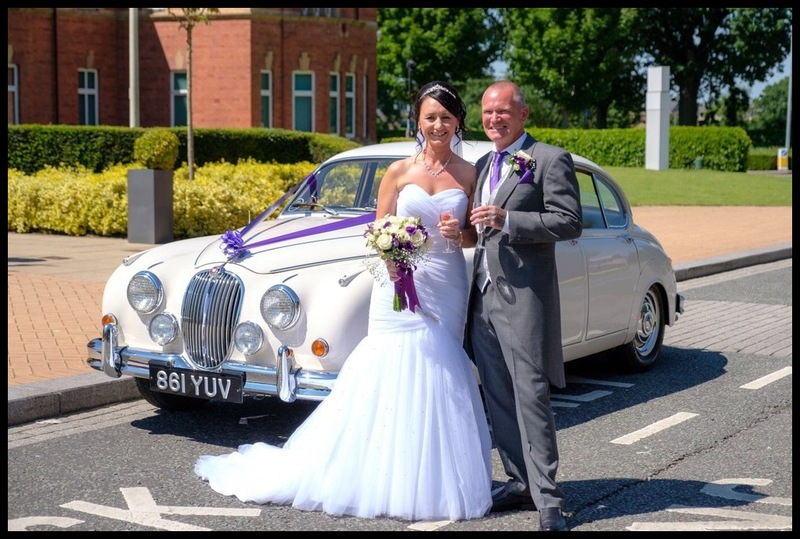 With many years of experience with Classic Wedding Cars we provide a Premium Quality Service that is Professional & Personal. You can book our Classic Cars with complete confidence. 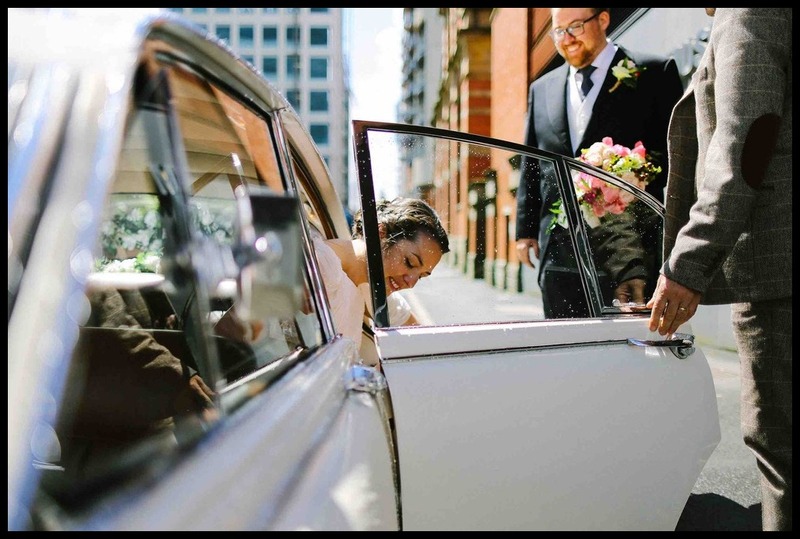 Knowing that from making initial contact, arranging to view if required, to Chauffeuring you on your wedding day you have a direct personal contact. Our Communication at all times is Extremely Prompt & Reliable. We can be contacted anytime via Email or Phone. A striking Totally Unique Combination of Two Classic MK2 Jaguars. Or if you need a different second Wedding Car for your Bridal party we work with other wedding car suppliers & can arrange this for you. 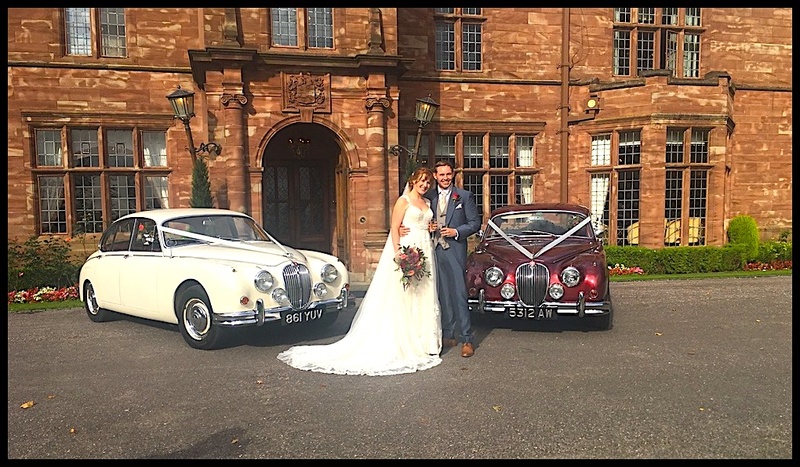 More information about Classic Wedding Cars Cheshire is on our FAQ page.